Provide comfort for the family of Rita Brown with a meaningful gesture of sympathy. Rita Nel Paul Brown, born October 12, 1948 to the late Elvin Paul Sr. and Octavia Paul of St. Rose, LA, passed away on January 6, 2019 peacefully at her home. She is survived by her four children Lastacia Brown, Donald (Stephanie) Brown , Ashley Brown Morris, and Kristen Brown; grandchildren Raven Brown, Megan Brown, Ashton Morris, Devyn Brown, Aaron Morris, Dorian Brown, Jalah Brown, Tristyn Smith, and Darria Adams; great grandchildren Jamyah Brown, Khalani Winley, and Aiden Morris; brothers Theodore, Sherman (Mary), and Shedrick Paul; sisters Sandra Taylor, Emelda McClendon, Betty (John) Hebert, Sheral Paul, and Andrewetta (Clyde) Davis; great aunts Audrey Eugene and Cora Anderson; godchildren Dawn Mason, Marie Paul, Darlene Turnbull, Shedrick Turner, and John Hebert, and a hosts of nieces, nephews, family, and friends. Rita is preceded in death by her parents Elvin Paul Sr. and Octavia Paul; brothers Elvin Jr., James, Benjamin, Robert, and Aaron Paul; sisters Marilyn Davis and Gearilyn Durio; grandson Jamiron Brown; and son in law and honorary godson James Brown. Rita grew up in St. Rose, LA where she was baptized by the late Reverend Friloux; from then on she was a faithful servant of God. 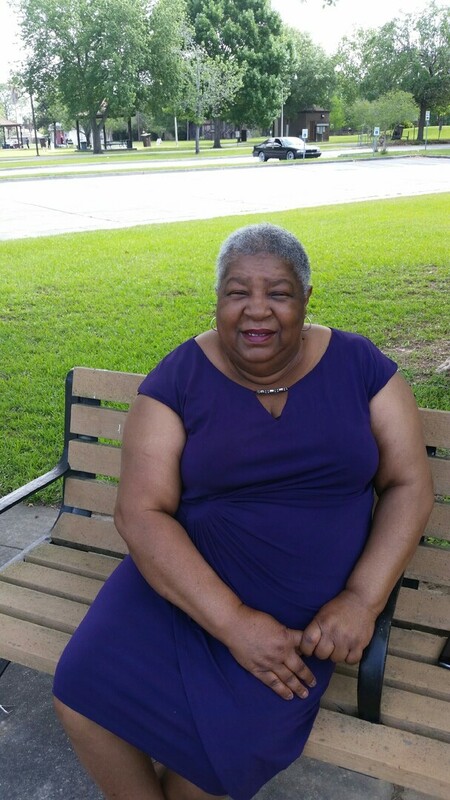 She retired from Ochsner Hospital after 23 years of dedicated service. She was a member of an unofficial social club called The Wanna Be’s. Rita was a loving and devoted mother and grandmother. As a friend of hers once said, “When she spoke of her grandchildren, it was like she was the only one in the world that had some.” She was very selfless and caring when it came to her family and friends, and was adored by many. Anyone who knew her, knew that she loved travelling, especially cruising with Carnival or cruising on scooters in Walmart. Eating out in the company of others was one of her favorite past times. Up until her health began to decline, Rita loved cooking and feeding others. She will be cherished and truly missed by many. Members of Community Church, Proclaiming Christ Ministry, Sweet Home Christian Center, Fifth African Baptist church, and neighboring churches, as well as family, friends, and employees of Ochsner Hospital, East Jefferson Hospital, Jen-Care, Jefferson Parish School System, St. Charles Parish School System, and Louis Armstrong International Airport are invited to attend the home going celebration on Saturday, January 12, 2019 at Community Church, 116 Florida Avenue, River Ridge, La. Pastor Daryl Wilson officiating. Visitation begins at 9 o'clock AM followed by funeral services at 10 o'clock AM. A private disposition will follow. Her final care has been entrusted to Treasures of Life Funeral Services. 315 E. Airline Hwy. Gramercy, La. 70052. To send flowers to the family of Rita Brown, please visit our Heartfelt Sympathies Store. Provide comfort for the family of Rita Brown by sending flowers.